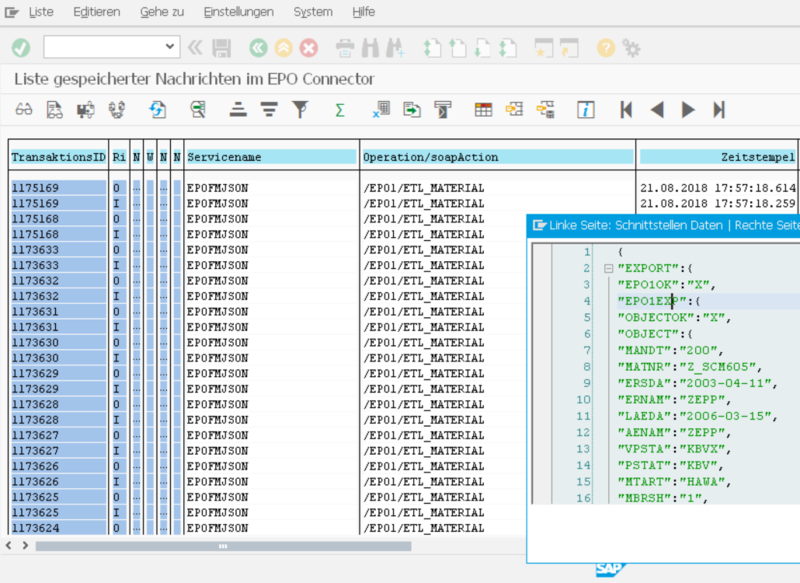 The EPO Connector as ABAP add-in is the interface for all data from and with SAP. With the homemade EPO Connecter, there are no longer data islands. All types of foreign data formats are transformed into ABAP and this makes your SAP ERP your central data turntable. The export of data from ABAP is also solved. What can be better? You no longer need expensive interfaces that are specially programmed for you and carry a corresponding price tag. You also do not need weeks or even months to wait. Install, configure and get started. The EPO Connector defies every patch, every update and every new release from SAP. It would be impudent to say for eternity. But certainly an investment of duration. With the EPO Connector you are independent in deciding on the acquisition of any system. You can connect everything. Build the application landscape with which you can work best. Lock-ins are gone. 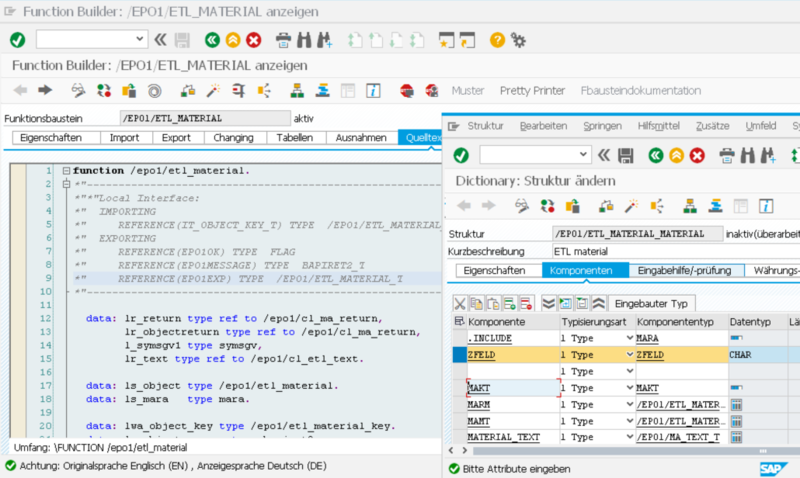 With the EPO Connector data is transferred to XML or JSON and can thus be read in any editor. In comparison, the SAP RFC transport protocol is unreadable and therefore expensive. That’s why it’s not part of the EPO Connector. Why is that important? Because you will never have to look for mistakes again for days, weeks or even months. You want to include additional fields in the interface? No problem. At the push of a button, you can easily add new fields in function modules. Of course, this is not a one-way street and it also eliminates superfluous fields emotionless. The EPO Connector becomes your data hub for SAP data. You do not need another server or data-routing software. Your budget will be happy. All data is available to you in real time. Nightly loading routines and time-consuming data migrations have become obsolete. With the integrated monitoring you always keep the overview. The EPO Connector is by no means limited to the integration of standard products. You can also connect all your own developments with your ERP. EPO Runtime GFMC (Generic Function Module Call): Automatic provision of every SAP function as Web service and JSON REST API at the push of a button. EPO Runtime: Alternative to EPO Runtime GFMC for file interfaces to upload data to SAP, etc. EPO Mobile Apps Integration: EPO mobile apps are quickly connected via a standardized GFMC runtime. EPO Connector EDI: securely send and receive SAP IDocs via an EPO Client implementation. 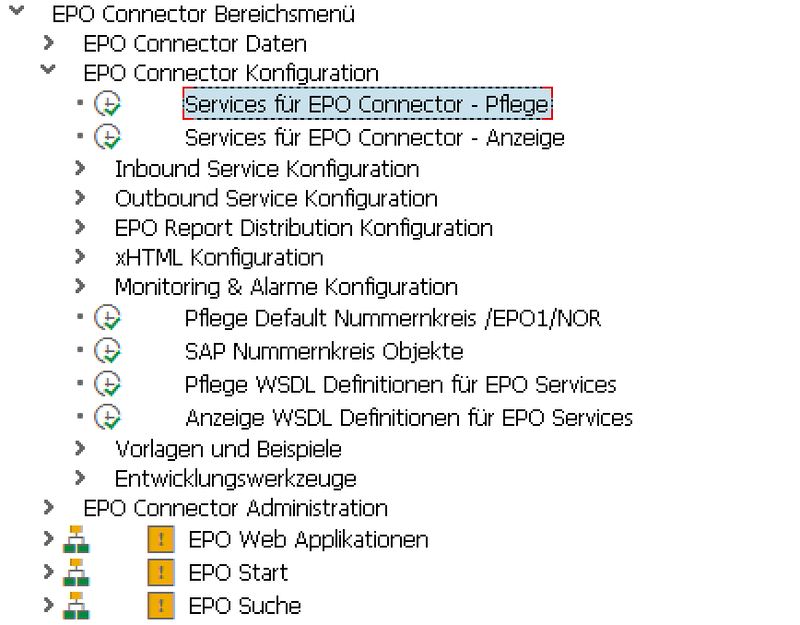 EPO ETL function: The “Extract – Transform – Load” ETL function allows any SAP data to be exported from SAP. Synchronizing a BI system has never been easier. The co-ordinated Open7 BI is the fastest big data system with ad hoc evaluations up to machine learning.